The past few months I've fallen in love with essential oils. 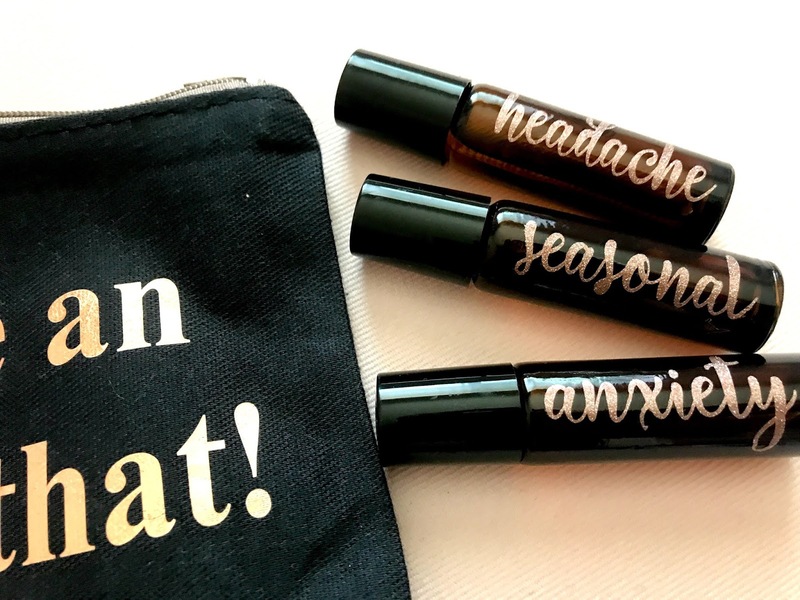 *there are affiliate links in this post* My husband thinks I'm a weird hippie- but these oils are nice. No, I'm not here to sell you anything- just share some favorites. It took me a while to determine and narrow down which oils I wanted to purchase. One thing that was most important to me was being safe- considering I wanted to not just diffuse some oils, but also apply them to my body. 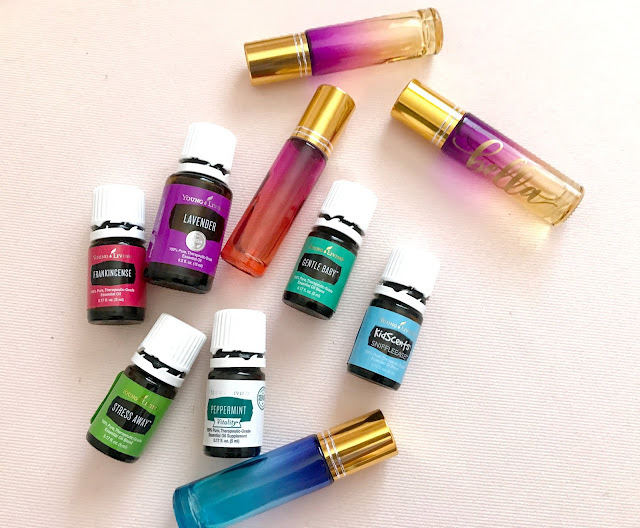 I did some research and talking with people, and there was two companies it was narrowed down to- Young Living and dōTERRA...I had more conversations and knew people who used Young Living- so I purchased from them. I was thinking about doing a post about some essential oil basics and how to determine what you would like to begin with if you're interested (let me know in the comments). It can be overwhelming, so I would be happy to share what worked for me and how I made my decision! Now that I've played around with the oils for a few months, I have been making some rollerballs since it seems to be the easiest, quickest and most convenient way to apply the oils. Please keep in mind that I am only sharing what combinations and measures have worked for me. When you are using oils on any children or babies, please read dilution charts. I personally use fractionated coconut oil to mix with my essential oils, but there are plenty of options out there for you to choose from. 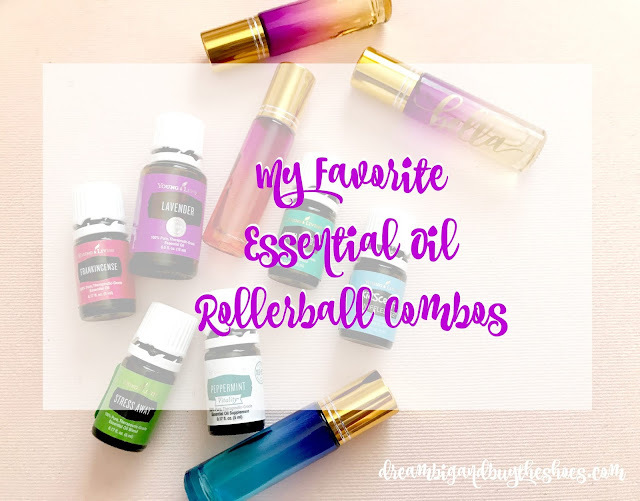 Below I've listed some of my go-to products that I use to make the rollerballs and a few of my favorite combinations or "recipes". 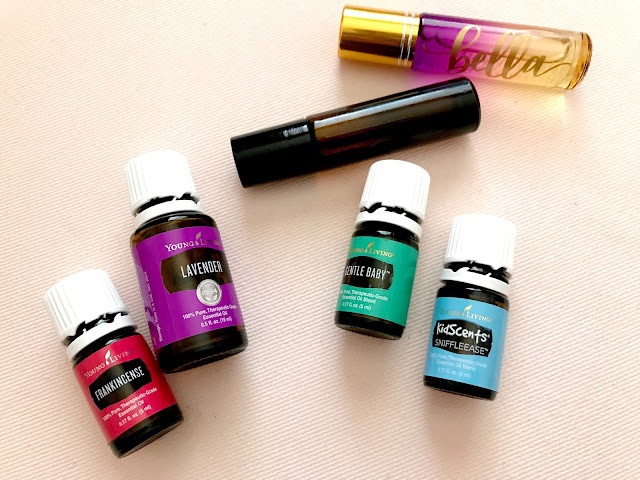 I mix essential oil drops as listed per oil and then I pump fractionated coconut oil in to the top of the rollerball and mix together to make the combinations. I have also linked the shops where I have purchased some labels. 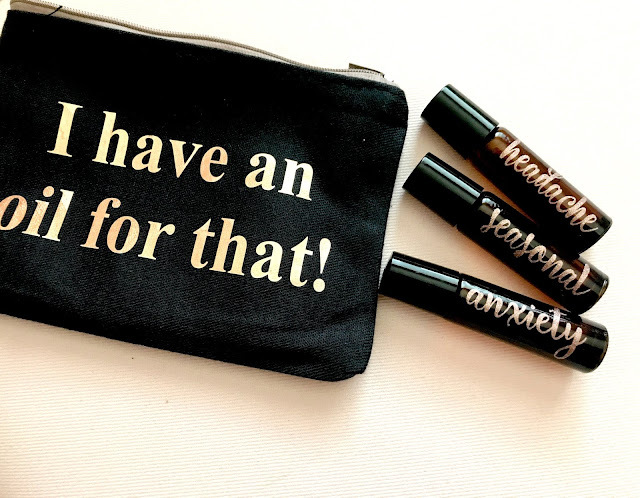 They're really easy to apply and inexpensive too! The rose gold vinyl labels can be found here, my oil bag is here, and the personalized label can be found at this shop (she's currently on a vacation). Do you use essential oils? If so, do you have any favorite combinations for rollerballs? Let me know if the comments if you'd like more on this topic! Have a great week!